Image: Dimitrios Kambouris/Getty Images for Discovery. The most destructive fires in California history, Camp Fire and Woolsey Fire, continue to blaze north of Sacramento and near Los Angeles, respectively. And celebrity chef Guy Fieri is stepping up to serve dinner to those fighting the deadly, destructive fires. According to CBS News, the Camp Fire death toll jumped from 44 to 48. And as thousands of firefighters battle the fire in northern California, Fieri surprised the Butte County firefighters and law enforcement officials with delivered meals on Sunday. The day after the surprise visit, Fieri took to Twitter to post a photo of the blaze. 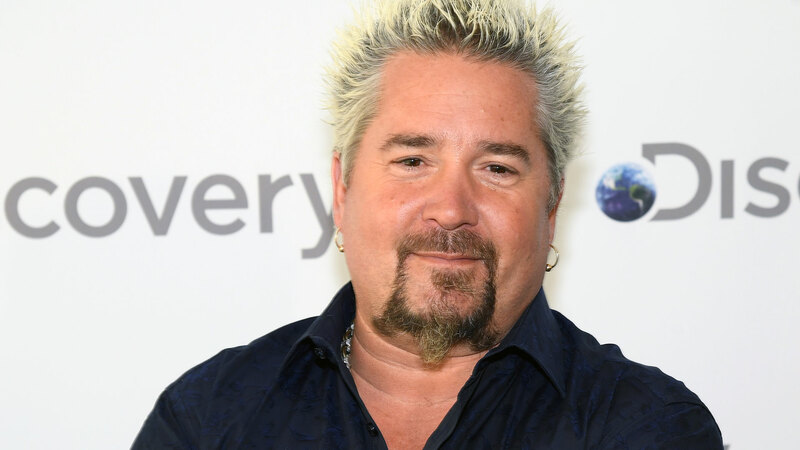 According to a tweet posted by the Auburn Police Department, Fieri served a pulled pork dinner. This isn’t the first time Fieri has given back to the community in times of crisis. In October 2017, Fieri fed first responders fighting the Carr Fire and other blazes in Santa Rosa, California. And in July 2018, Fieri, along with 20 volunteers, traveled to Redding, California, where a fire was ablaze nearby to help the Salvation Army feed evacuees. He and his team prepared 5,000 meals per day. Farther south in Calabasas, California, Foo Fighters lead singer Dave Grohl was spotted volunteering to feed the firefighters battling the Woolsey Fire. According to Eater LA, he helped serve barbecue at Fire Station 68. For those who would also like to help, several nonprofits are seeking donations. The New York Times has a fantastic list of organizations to donate to, including the American Red Cross, the California Community Foundation’s Wildfire Relief Fund, the California Fire Foundation and more. There are also multiple crowdfunding efforts for victims of the fires to consider, including a program launched by Airbnb that allows people to host those in need of emergency housing.